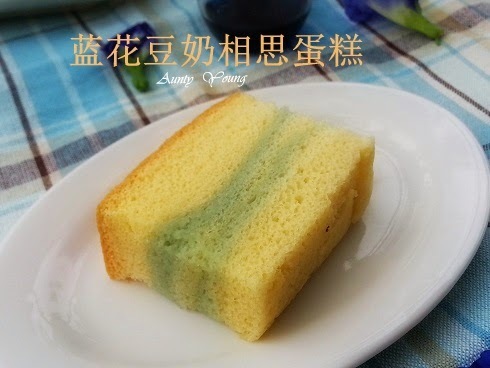 Very happy to see that my blue-pea plant is flourishing, and so I thought to use some flowers to bake a cake. 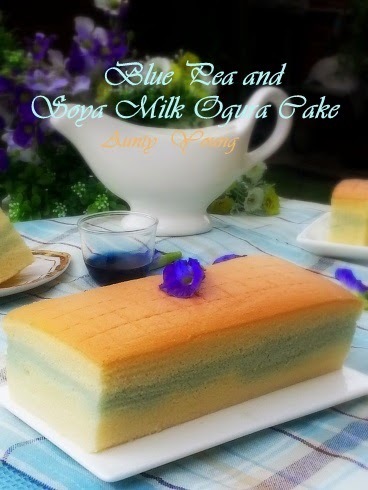 With fresh soya milk in the fridge, I decided to make a Blue Pea and Soya Milk Ogura Cake. 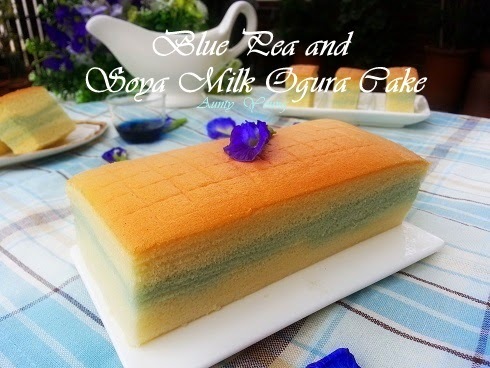 The soft, spongy texture of the Ogura cake complimented by the lovely taste of soya milk; you get a cake that isn't too rich, yet suitably delicious. 2. 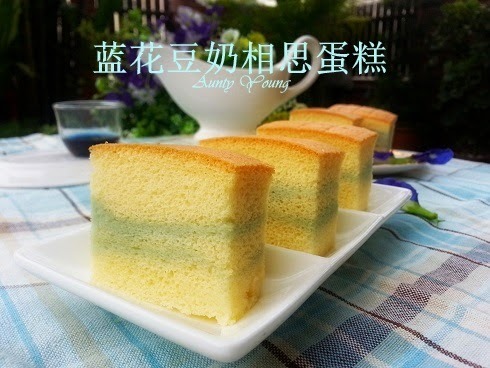 Sieve in superfine flour, then mix it until smooth and well combined. 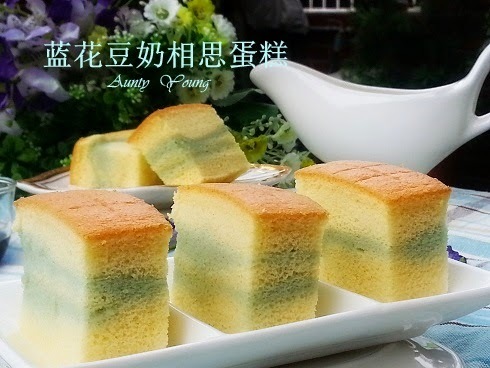 Scoop out 1/3 and mix with blue pea juice. 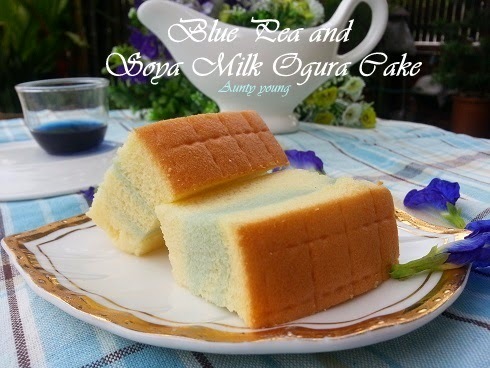 Put the blue pea batter and the remaining 2/3 ogura batter aside. 3. 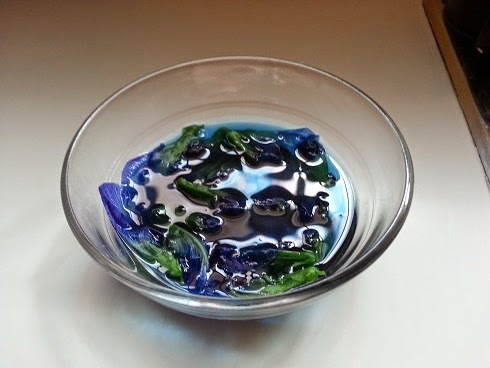 Pour 1/2 of the ogura batter in (B2) into the 7"pan, followed by the blue pea batter, and finally the remainder 1/2 of the ogura batter. Then get rid of the air bubbles by lightly tapping the pan. 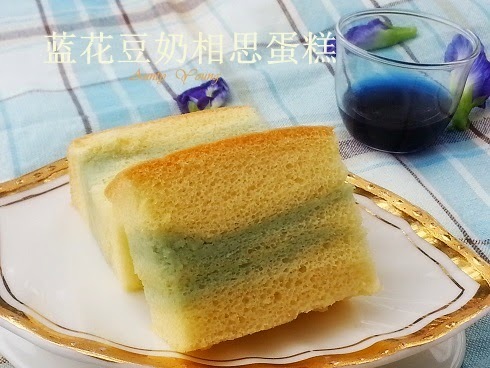 The deep blue of the blue-pea, the light yellow of the Ogura cake, the end result is a pleasant sea green that made the cake all that prettier.